Emerging from the Romanian underground music scene, R.AM are the dynamic young duo formed by Resa & Alex Macarie. Hoping to follow in the footsteps of artists like Rhadoo, Petre Inspirescu, Barac, Livio & Roby and Raresh, by putting Romania firmly on the dance music map, R.AM serve up the first Cadenza Lab release of 2017 with “Ad finem”. The title track builds with confidence; intricate rhythms and a dense ambience lay the foundations for a swinging and hypnotizing groove that unfurls over its twelve-minute length as bright percussion and sturdy hand claps weave their magic. Accompanying track “Soldedans” is equally as proficient; tropical vibes are at play here as brooding pads subtlety build the tension over precision drum programming and airy vocal stabs, and its infectious melody patiently creeping in to create a real warm atmosphere. Starting as friends and electronic music enthusiasts, Resa & Macarie began to explore music production built upon this passion for music. 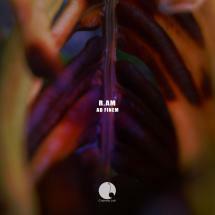 Focusing on delivering organic dancefloor grooves and slow burning build-ups, they have already gained early support from the Romanian techno DJ community, and “Ad finem” will no doubt open up the sounds of R.AM to a wider appreciative audience.